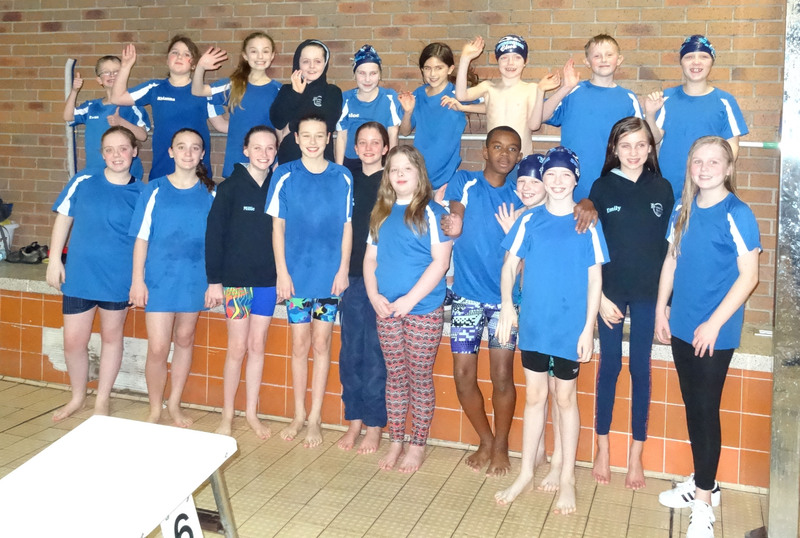 Broadway Swimming Club competed in their first Junior League Gala of 2016 on Saturday 23rd January 2016. 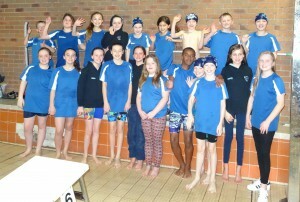 Although swimming with a depleted team they made a big splash! Elodie Rollins opened the Gala with a personal best time in the Girls 10 years 50 metre front crawl. Blake Webb storms in with a hat trick of wins in the Boys 10 years 50 metre front crawl and Boys 9 years 25 metre Butterfly and front crawl. Robyn Dolan took first place in the Girls 9 year 25 metre Breast stroke. Just missing out on first place, coming in on close seconds were Adam Guild in the Boys 9 year breast stroke and Jenson Proctor in the Boys 11 year backstroke, George Pattinson Boys 11 year freestyle and breast stroke and Matthias Henry Boys 12 year Butterfly and front crawl, also taking second places were Alex Fisher in the Girls 11 year 50 metre front crawl and Chloe Mallon Girls 9 year 25 metre Butterfly. In addition other swimmers exceeding expectations with Personal Best times were : Millie Harmon, Isabel Clarke, Emily Matthews, Courtney Bleakley, Amber Catley and Natalia Tura. Broadway Swimming club are currently looking for new members to strengthen their team, all abilities welcome. Anyone interested please call Alan Bagnall (Head Coach) on 01922 409 760 or Jane James on 0121 360 8842. We are waiting for your call.